Croix is a small town just west of Roubaix and some 10 kilometres north-east of the centre of Lille. Once in the town take the road to the left opposite the rear of the church. 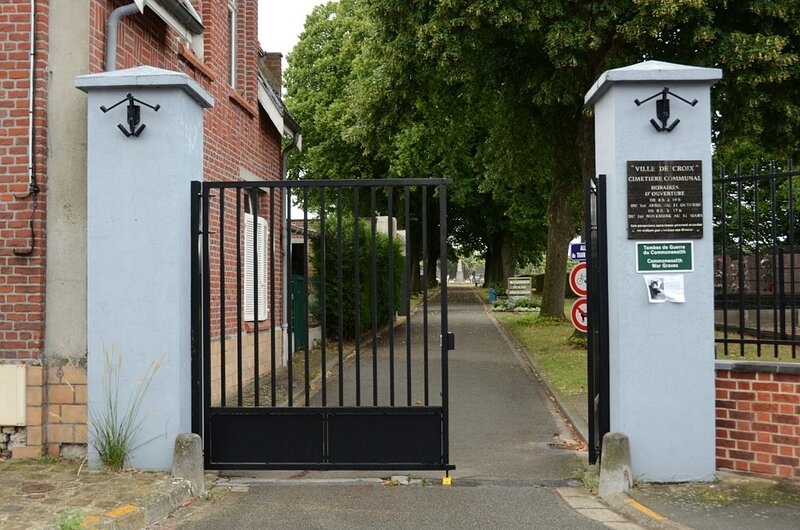 The cemetery is at the end of this road. One grave will be found in Alley 11, another in Alley 5 and the third is in Alley 16. 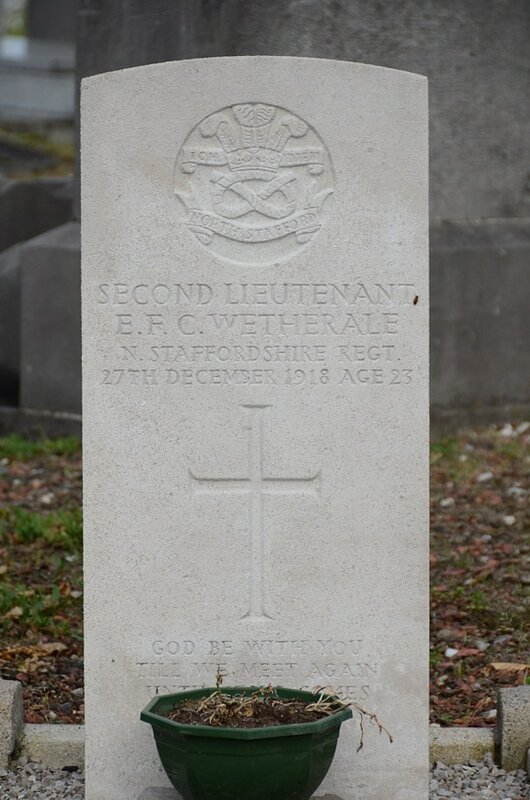 Second Lieutenant Eric Francis Cecil Wetherall, 12th Bn. 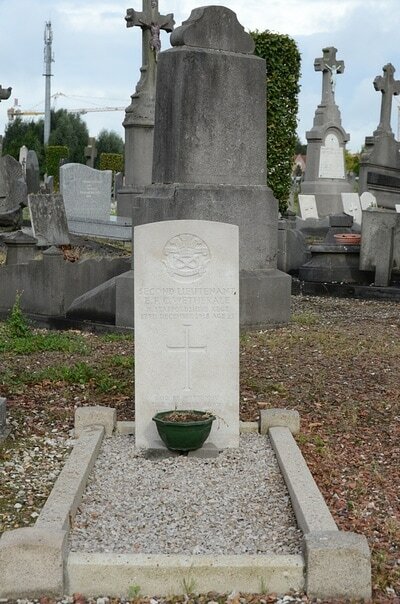 South Staffordshire Regiment, died 27th December 1918, aged 23. 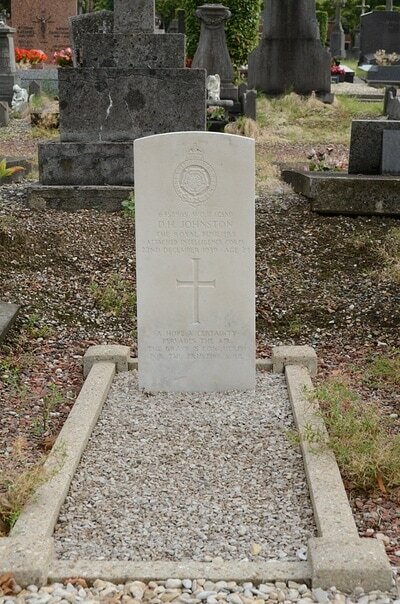 Son of George and Annie Wetherall, of 7, Upham Park Rd., Chiswick, London. 2076953 Sapper George Hutcheson, 240 Field Company, Royal Engineers, died 23rd May 1940. 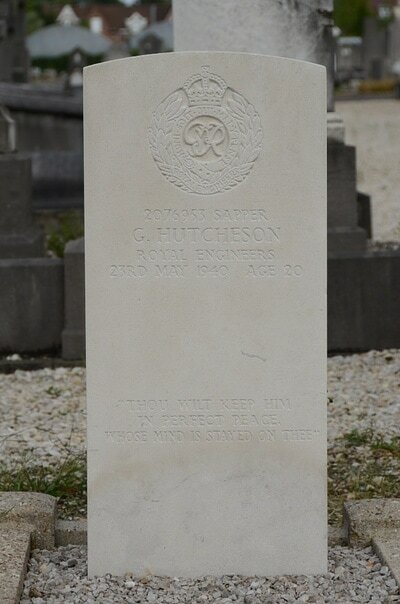 Son of Andrew and Helen Hutcheson, of Glenmavis, Lanarkshire. 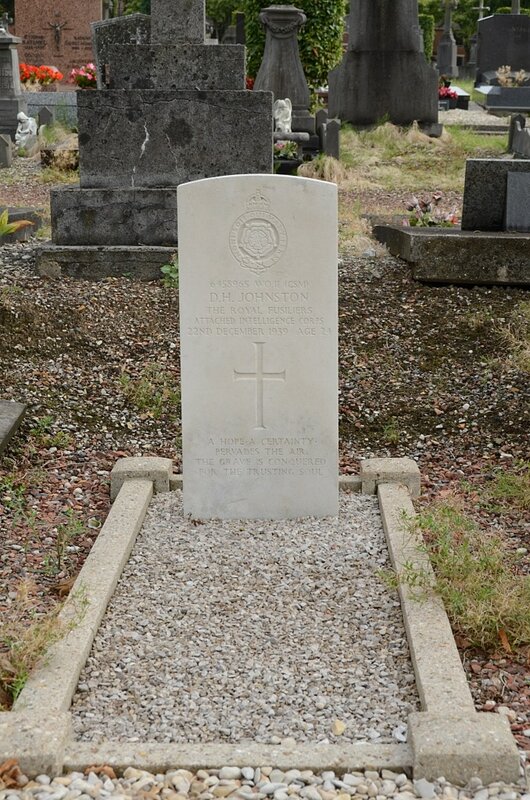 6458965 Warrant Officer Class II Douglas Holden Johnston, 2nd Bn. 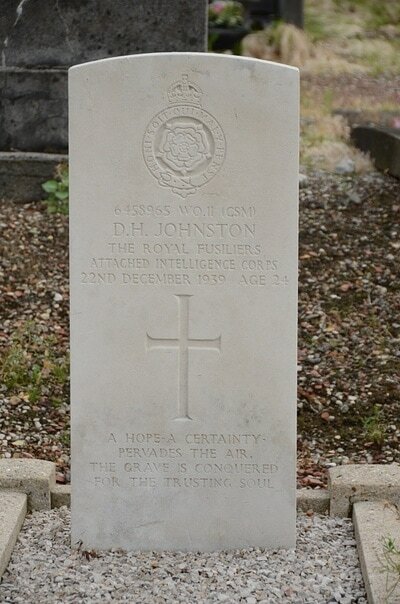 Royal Fusiliers (City of London Regiment), died 22nd December 1939, aged 24. 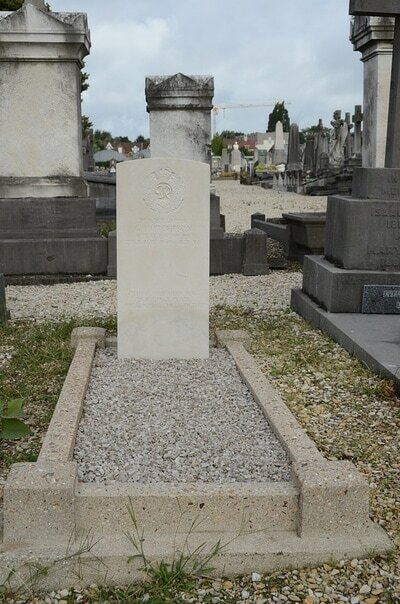 Son of Henry Steer Johnston, and of Elizabeth A. Johnston, of Bangor, Co. Down, Northern Ireland.